Note: Names have been shortened because I know this will embarrass said parties a little. I just wanted to post this because it's been on my mind. And if you know who I'm speaking of, please do not mention it. At all. Thanks. Friendship's about sharing, isn't it? So you can imagine my reaction when B. took me aside last week. "G. and I are together now!" she whispered in my ear. My eyes widened and we started to giggle. "Really? Where? When?" We talked about the details in hushed tones, and I ribbed her about how I seemed the last to know. Not that I was the last to know, you understand. It was just fun to watch her feel self-conscious; it doesn't happen very often. "I'm so embarrassed," she announced before we parted. She was embarrassed, all right; she was also really happy. I was just happy that she was happy, if that makes sense. Her other friends and I have agreed that if G. does something stupid, he'll get quite an earful from us. Of course, we're not saying we run their relationship! We would stick up for B. though if he was really wrong. Why do I mention this relationship in my blog? I guess it just takes getting used to. You could say it brings back some memories, dear Reader. And it's all G.'s fault, as B. and I jokingly say. If he hadn't been in "like" with me back then, we wouldn't have all this awkwardness to sift through. B. wouldn't have to worry about whether I'd be OK with her happiness. We wouldn't have to rehash our friendship and see if there would be a strain. But I think it was great for B. and me. We became a lot closer, and we learned to laugh at our situation. Who wouldn't laugh when we realized I could totally understand her when she talked about meeting G.'s parents? I am over G. though, if anyone asks. And my gosh, a lot of well-meaning people have asked. There were things about him that just weren't right for me. But that doesn't mean they aren't right for B.
I'm just glad B. 's in the best place she could be now. And I'm glad our friendship's more than boys and other not-so-important things. I wish them both well. I just wanted to say I love you, B., and I love all our other friends. And that won't really change. It was 2 am. My cousins and I were watching a movie in the dark. I guess the time, the place, and the excitable company are the only reasons we reacted the way we did. In other words, we got scared of a totally un-scary movie. I mean, look what we were watching. "Can I sit here, Ahia* Ken?" Jonny asked as he sat so far back that he squeezed Ken's legs. "Sure," Ken answered a little uncomfortably. The movie's background music started to rise in volume. Then the heroine screamed. And so did everyone else in the room. "TO THE LEFT! I MEAN, THE RIGHT!" "SOMEONE HELP HER! HOW ABOUT THAT OTHER GUY; HE'S THE FATHER!" Five of us stopped yelling as the action got more intense. Everyone was riveted. Jonny was still screaming though. "GET IN! GET IN! YES, GET IN THE TUNNEL! OH MAN, SHE'S GOING TO MEET THAT GUY ON THE OTHER END!" "Think positively, Jonny," my other cousin quipped. "OH, THERE'S THE GUY! I TOLD YOU!" He moaned sympathetically until the heroine was surrounded by stocky muscled villains. "OH NOOOOO, THERE ARE GUNS INVOLVED! OH, OH, THEY'RE NOT GOING TO USE THE GUN! AAAAAAH!" Jonny was practically apoplectic. The rest of us just couldn't take it anymore. "Oh. Sorry." Silence reigned once more. What can I say? We're pretty enthusiastic. * This means older brother in our Chinese dialect. I've been going over some funny stuff friends told me to read and watch. And I just couldn't stop laughing. Here's some clean fun from me to you! Nobody saw exactly what happened - I'd venture that it had something to do with a cigarette - and nobody could help noticing when David came bursting out of the bathroom, trousers around his ankles, with flames dancing from where no man would want flames ever to dance. Note: This is a tongue-in-cheek bit of fluff my friends and I wrote for Speech class. Some of my friends are recently taken or almost taken, but all of us have been subjected to all manner of stalkers and Very Creepy Guys this past year. We thought making something like this would be fitting for the occasion. It’s time for Valentine’s Day. It’s time for the hearts, the flowers, and the candy. It’s time for couples to suddenly start sprouting as far as the eye can see. Some people think it’s really sweet. Do you agree? Or do you think it’s all so irritating? Do you feel like killing any lovey-dovey couple that gets too close for comfort? Do you sometimes wonder why you’re so, well, alone? If you exhibit any of these symptoms, you, my dear, are a Single. Some people find being single uncomfortable on Valentine’s Day. They just feel out of place during the occasion. With all the hype about Valentine’s Day and couples, who can blame them? In the same way, who can blame you? But you can get rid of the awkwardness. You can keep your peace of mind, and still be happy about yourself without a special someone. It all starts with your mindset. First, remember that February 14 is just one day. It’s like any other day. You go to class, do homework, and continue on your daily routine. There’s no rule that you have to be part of a couple and exchange sickly sweet sentiments. You don’t even have to celebrate the occasion. For instance, some people don’t celebrate Christmas and that’s a bigger holiday! There’s really nothing to be stressed about. Second, February 14 is St. Valentine’s Feast. It was created for a saint, and not for every couple in existence. So go to mass, and pray. 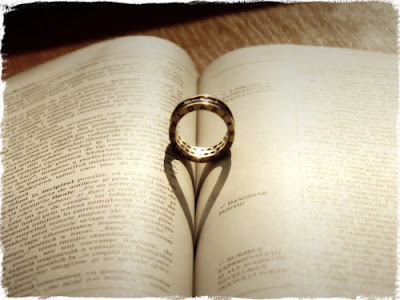 Read the Bible, and think about God’s love for you. All this would still honor the occasion, and allow you to be more grateful about blessings you’ve received. Third, if you must show love, do so! Show it to your friends by writing them appreciative notes or giving them little gifts. Show it to your family by going out together. Show it through charity by surprising the needy at an orphanage or some other institution. Fourth, enjoy being alone. Try something you normally wouldn’t do with others. Take a new sport without worrying how bad you are at it. Eat something completely different. Watch a movie you know no date would have wanted to see anyway. Fifth, you can also go out with other single people on this momentous occasion. Have dinner together. Watch a movie. Enjoy the videoke experience. Who says only couples have all the fun? Sixth, treat yourself for not being desperate about getting a date. You chose not to settle for losers; good for you! Buy a small gift. Eat your favorite food. You can even exercise the next day if all that food makes you feel guilty. Seventh, remember the people you’ve broken up with for good reason. Was someone too possessive? Was another person a liar? Or did the two of you end up being too different? Either way, you must be glad some of those relationships are over. Celebrate the exes who are gone! Thank God you’ve moved on, and that you’re ready for something (or someone) better around the corner. Eighth, do not hate love. It isn’t love’s fault that you are where you are today. Besides, your story is not over yet; who knows what the ending may be? Love will come for you one day. Choosing to enjoy Valentine’s Day as a single is a brave task. This is especially true if all your friends are in relationships. But it can be done. It all starts with the decision to relax and love yourself. So what if you haven’t found your better half? Big deal! Being single isn’t that bad. It can even be a blessing. Until then, spend time learning more about you. Nurture relationships with your loved ones and with God. The peace of mind and enjoyment you get from this holiday will be worth the effort. I was lurking around DeviantArt yesterday when Adam --- a good friend of mine --- asked me this question. So is Chemical Engineering what I'm supposed to be doing? I guess I haven't been thinking about the future very clearly. I mean, I know I'll leave school, work, and do everything grown-ups do one day. I've just never thought about the future as something pending. It seems so far away; it doesn't bear thinking about just yet. But how far could it really be? I'll be finishing my degree in Chemical Engineering two years from now (if things go according to plan). Then what? Will I choose to work on machinery and chemistry in a plant forever? I guess the idea of being a chemical engineer is something I'm passionate about. I'm interested in the different chemical theories and how they shape my world. I enjoy solving tricky problems, and getting experiments right. What I'm learning in my university right now really challenges me, and I think that's cool. On the other hand, there are other stuff I love to do that have no relation to Chemical Engineering. For one thing, I love to draw and take photos. I also love writing stories, knitting stuffed toys, and playing my violin. Did I mention I also enjoy designing blogs, webpages, and the occasional product label? This paradox sometimes makes me wonder: can I do all these at once? Sure, I could try making time to do everything. But life gets busy and complicated; I know I'll eventually have to make life-changing decisions. I'll have to give up some stuff I love to make room for other things that matter. A friend once told me it's hard to focus and do well on what you love if you love too many things. It's sort-of like trying to take five different paths when you can only go in one direction. That seems so true now. I don't really have any answers. All I can do is listen to God, learn from others' experiences, and go with my gut feelings. The Bible says God has great plans for me that are perfect and satisfying. I'll take comfort in that as I walk through life. So there's your reply, Adam. It's quite long and pretty thorough. Some would even call it complicated. But I guess that's just the way it is. People make slightly gender-discriminatory remarks about girls and their ginormous amount of shopping. Not that I resent them; they're all in good fun. They are also mostly true. Take my sister. She has talked about buying a pair of shoes for weeks. "Just one pair to match everything I own" is how she describes this elusive search. And she found them after three hours at the mall yesterday. Rather, she found three pairs of shoes, and couldn't part with a single one. My Mom, the very female associate on said excursion, bought four. I'm not complaining though since they rarely go to the mall anyway. I also seem to make up for it with my indifference regarding shoes. Or maybe not; everyone has a weakness after all. Mine just happens to be books. I can't remember a time when I didn't love books. I remember drawing pictures in worn children's books before I learned to read. I used to finger pages, and marvel over the different textures. I would sniff the pages until my Mom --- worried about having a daughter high on varnish, I'm sure --- would make me stop. My first words were cab and cat. 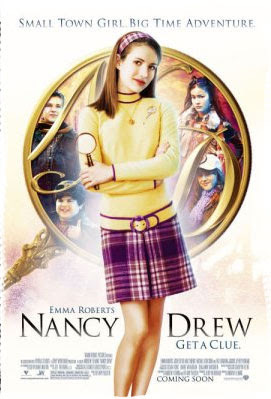 My first novel was a Nancy Drew book I finished at the age of 5. Unsurprisingly, my second home was the school library where I'd pore over books for hours. I'd borrow books and sit in the school playground reading. My teacher had to show me how to use the slide before I'd put my book down. My choice of reading material has obviously widened since then. I've gone on numerous adventures, and made friends with all kinds of characters. I've taken in life lessons of historical figures, and cried over silly sad endings. I even learned how to knit and design graphics through instructional books. All that reading burns a hole through my wallet though. There are no public libraries in my area, so I end up buying or borrowing friends' books before I can get the ones I want. I've taken to saving a fund for books, and that helps. It's a small price to pay for the enjoyment I get. I guess my books are like old friends; they made my world so much bigger and more colorful.